Dublin coffee culture is changing. I’m an avid coffee lover and although i don’t know everything about it i know what i like and spent a bit of time in Australia working as a barista. I have two new favourite places for coffee in dublin. And i think they’re getting busier all the time so they probably don’t need me writing about them, but just in case you haven’t been yet. The first is the Fumbally. Located near St patrick’s Cathedral in Dublin 8 (not as far from the city centre as it sounds) it’s the biggest surprise to walk into. On the outside it’s a run of the mill new apartment block type building. I walked and cycled past so many times before i ever went in. I always thought ‘Oh they picked out a great mix of tables and chairs’, but that’s as much of an impression as i had of it. 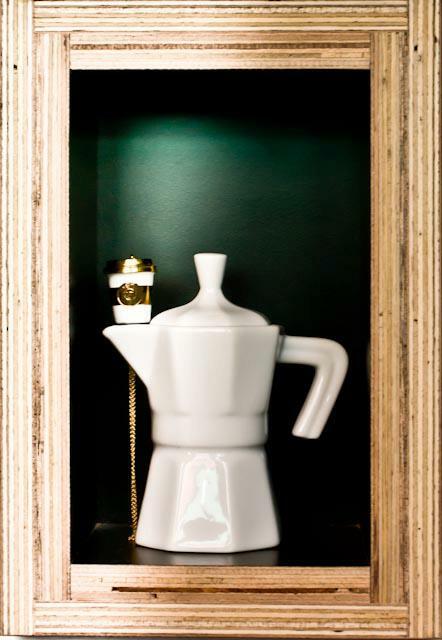 When you walk in you are greeted with wonderful wholesome food smells and the scent of fresh nicely made coffee. it’s warmer than it looks like it’s going to be and walking down the steps, as it’s kind of sunk into the ground, you feel wonderfully welcome. They’ve made it cosy without going over the top. It’s interesting without feeling pretentious and there’s lots of space and light and chair and table types to sink into something comfy or work away at a big table. 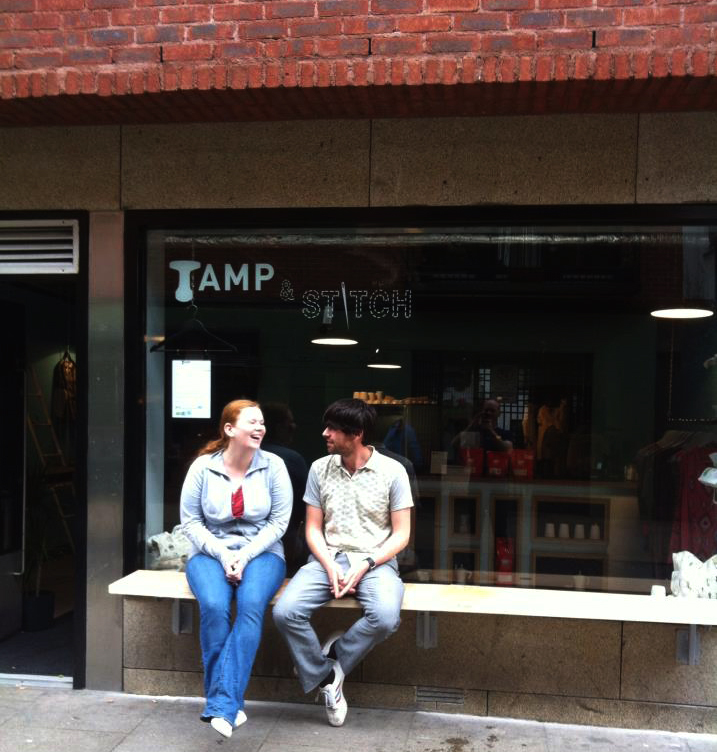 My other new favourite is Tamp & Stitch. It’s located at Scarlet Row, Essex street west which is just around the corner from Cow’s lane – home of the great markets and the famous Queen of Tart’s. 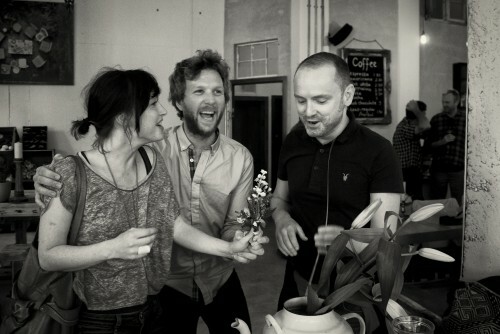 Paul who runs it makes some of the best coffee in Dublin and he’s passioante about the place. They sell clothes and jewellery too. The jewellery is freaking amazing. I do tend to run in, get coffee and leave quickly. But mostly because i’m scared i’ll buy too many things i can’t afford if i stay browsing! It’s so worth a trip in. Go out of your way to go there. Won’t regret it and excellent stuff for christmas gifts to boot.